Piercebody.com, a top leading manufacturer of body jewelry brings you the fascinating collections of the ear piercing in different ear plugs sizes. They offer huge stock of plugs for ears. They also have other body piercing jewelry in standard sizes for gauging ears. Either an ear plug stands to be a special price or they don’t have to compromise the quality. Ear tunnels or ear plugs has always been in trend for over a decade while, it’s very rare to find a white tunnel gauge. They’re called as milky white! 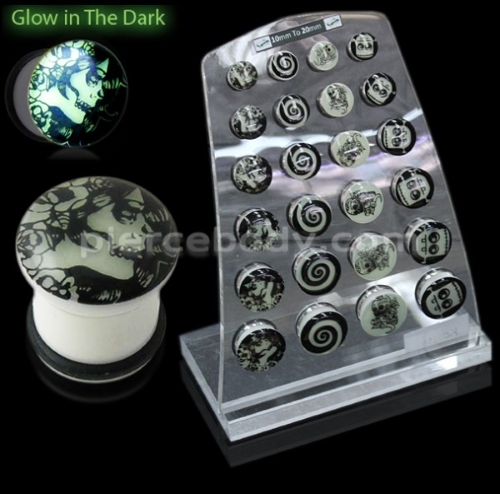 This beautiful selection comes in a UV screw fit ear flesh tunnel with the size of 3mm to 24mm. While, this piece is a UV Milky white molding flesh tunnel. It also has high quality of UV and its ear gauge sizes available only from 4mm to 12mm. We’ve seen UV screw fit ear flesh tunnel and UV Milky white molding flesh tunnel but ever considered of a UV Milk White Internal Flesh Tunnel with the size of 5mm to 12mm. Single flare plugs are basically flared out at the front only. Keeping them in position on the rear side with the help of rubber o-ring and silicone. Single flared plugs are very much comfortable. They are available in various sizes like size 2 gauge plugs are in the maximum demand for old ladies. Wholesale body jewelry plugs are basically a type of ear stretcher and that is why they are available in so many various sizes. It depends on your earlobe that which size will suit you. The smaller gauge size is actually bigger with a wide thickness and larger gauge have a smaller diameter. Size 00 plugs are the thickest as compared to size 10 gauge. Whenever someone gets a piercing done, then after that the first one are the size 10 gauge earrings which they prefer. Our High Quality anodized colorful internally threaded ear tunnel, with many color and stones studded Anodized Belly. This is one of the most selling items. Ear piercing is made more wild and creative with this new line of star plugs with O rings. They are in the form of circular earrings with a star logo embedded on the visual side which makes it an attraction at parties and clubs. They have UV materials in them and hence have the glow in the dark feature which steals the crowd and safe for the skin. These ears 20mm plugs are suitable with formal and casual wear and goes with any form of dressing. They are cheap and worldwide delivery is a huge fan following. The hardy silicone based ear plugs and tunnels look extremely attractive in addition to being hypoallergic and suitable for all skin types. 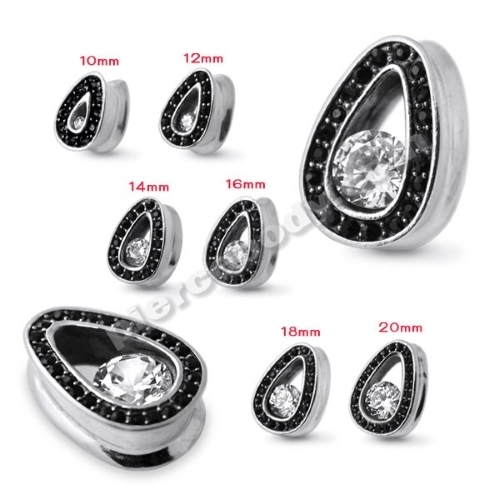 Opt for black or white or any color that you like, Piercebody has them all. Be certain to have much fun choosing them as you will have wearing them. Get a pair for every dress you own and build up a veritable collection of brilliantly colored and color-changing silicon ear jewelry that will make you the coolest person in town. In the fashion technique of body piercing and ear piercing is one of the most common piercing done by many people. Gauge tunnels are the plugs that can be use in the ears, which give a very stunning look. These are basically used as an ear expander so that ears look as if it is stretched. This has a smooth finish. These kinds of ear plugs have devil-style prints on both sides and it made of UV which is very safe to use. They come from different ear plugs sizes and it ranges from 2 mm to 12 mm. Thus, when worn will make the person look great. With all other different ear plugs sizes and designs, you may probably check the top rated manufacturer for body jewelry. Check out the latest body jewelry with best deal after the Christmas sale and New Year’s sale! 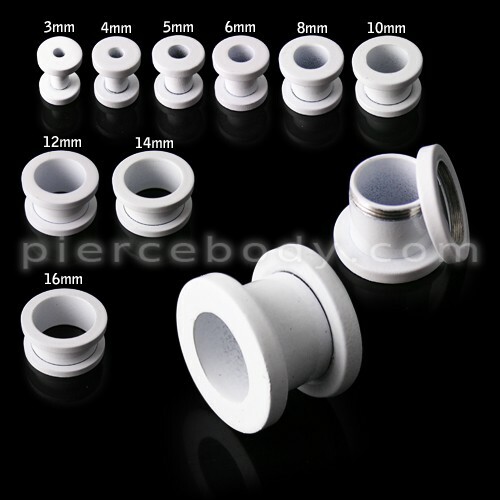 Piercebody.com, the top leading manufacturer of body jewelry including different ear plugs sizes gives a better offer!